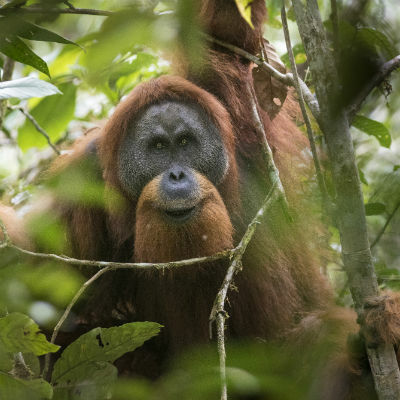 In November 2017, scientists revealed the major discovery of a new species of great ape – the Tapanuli orangutan. This is the first new great ape species to be described since the bonobo in 1929, and its discovery brings the total number of great ape species to eight, including humans. With only an estimated 800 individuals remaining, the Tapanuli orangutan is the most endangered great ape species in the world. The Tapanuli orangutan is found in the forested uplands of the Batang Toru ecosystem in northern Sumatra, Indonesia. These primary forests are also home to other rare and endangered species, such as Sumatran tigers, pangolins, sun bears, and helmeted hornbills. However, the world’s newest and rarest great ape already faces a grave threat: the construction of a hydroelectric dam straight through its fragile habitat. 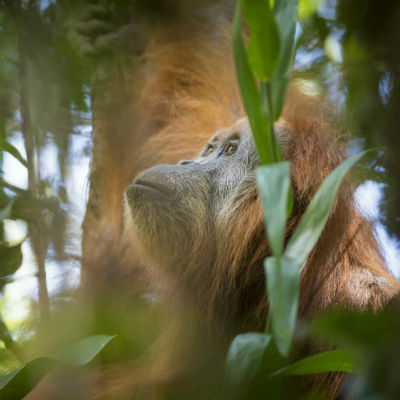 The Chinese state-owned company Sinohydro is moving forward with building the dam, despite the fact that it poses a major and imminent threat to the orangutan and to all the other species in the Batang Toru ecosystem. The Indonesian government has violated its own laws – which prohibit activities that would harm a protected species – by approving it. The project will clear major tracts of forest and flood the Tapanuli orangutan’s core habitat. 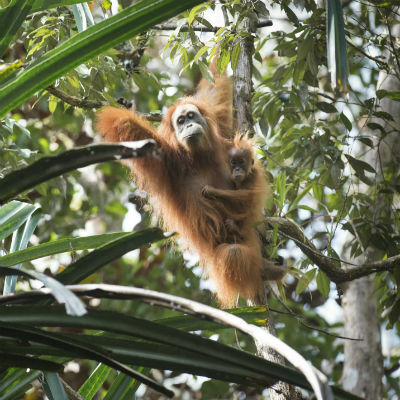 It will also fragment the already small orangutan population into two even smaller populations, which will put them at a much greater risk of extinction. Surviving forest will be disrupted with new roads and power lines, which will increase access into the forest. William Laurance, professor at James Cook University and lead researcher of the team, said, ‘without urgent action, this could be ecological Armageddon for one of our closest living relatives’. Sign a petition calling for President Joko Widodo, the Indonesian legislature, and all members of the Indonesian government to ban the North Sumatera Hydro Energy’s 510MW Batang Toru Hydroelectric Power Plant and any and all industrial development in the Batang Toru forest. 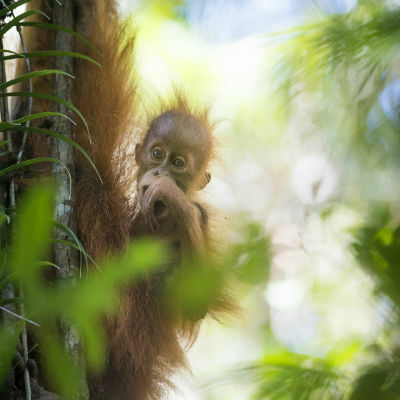 Click below to send a letter directly to the Indonesian and Chinese Embassies to urge their President's to immediately halt all construction activities and protect the Batang Toru forest. Help Born Free in its work to conserve and protect wildlife in its natural habitat by making a donation. Born Free is opposed to the construction of a hydroelectric dam through the habitat of the newly-described and critically endangered Tapanuli orangutan. If you agree, please help spread the word by sharing with your family and friends.